Recently my kindle took a bath in a full bottle of water that leaked in my work bag and was out of action. I thought it was dead and gone but after a few weeks (I had it in a bag of rice for a few days, then I just left it in a drawer for a few weeks) I bravely plugged it in. It had been stuck on the home screen ever since it's bath. It came to life and doesn't seem too badly distressed by its ordeal. I wanted to start using it again as I was going away and it is much handier than carrying paperbacks. I scoured NetGally, KindofBooks and the Kindle store for recommendations of cheap and free books to read. 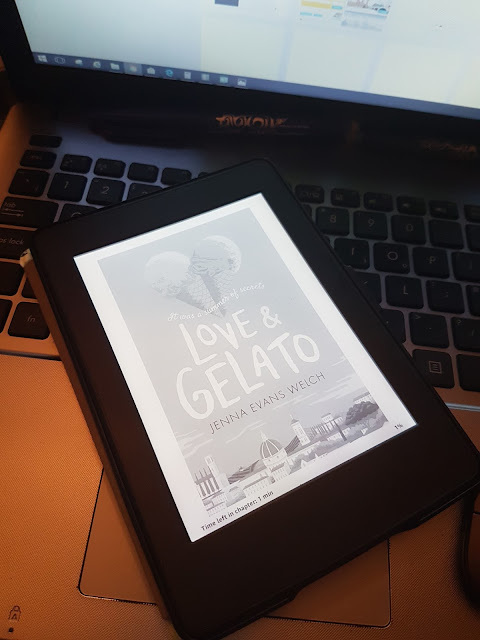 I really didn't want to buy a lot of books in case it decided to give up but touch wood it seems to be ok.
One of the books I came across from KindofBooks was Love & Gelato by Jenna Evans Welch which I think was a free book at the time and is currently showing £1 for Kindle. It's aimed at teens but as I still only feel about 17 I thought I'd give it a try. It's centred around Lina American a teen who is still in the mids of grief after losing her mother. 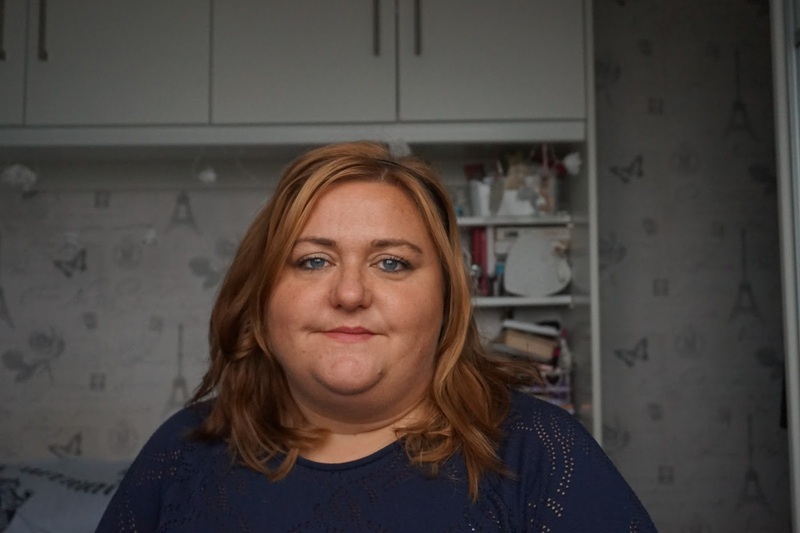 Her mother's last wish was for Lina to spend a Summer in Italy as she had done at the same age. As resistant as Lina is to this idea her Gran persuades her to go and Live with her father who has never been in the picture and who she has never met and lives in a cemetery and American War Memorial. Lina is resistant to move, as I think anyone would be. You've lost the only parent you've ever known and now you're being shipped halfway around the world to live with another who has never been mentioned until now. Everything from the beauty of the place she has moved to, how nice her father and his colleague are and how he's made an effort to create a bedroom that makes her feel comfortable is all too much for Lina and she IMO acts like a brat. This feels quite true, you would be so angry and frustrated you (well I) wouldn't want to like anything, I'd be resentful of people trying to do nice things for me when all I wanted to do was stay in the place I know, with friends I like and have my mother back. There are a few times where her father's colleague try and talk to Lina but her attempts are ignored or avoided. When one day Lina finds one of her mothers Journal on her bed from the summer she spent in the area, Lina uses it to try and get an understanding of why her mother wanted her to go to Italy and with the help of a boy she meets she follows along with her mother's journal. Visiting places, contacting old friends and seeing the city. The book is quite predictable but has some very sweet moments. These may be somewhat cheesy but I feel like they really made the story come to life for me. Predictability is something I've come to expect and it's not often a book leaves me with a wow I did not expect that. It's well worth £1 and was a nice quick read. One thing I will say is that I had strange dreams after reading this book. I was trying to do one of the things Lina does at the end of the book and I still feel a little odd when I think back to it! Fun, lighthearted and quick to read - If you like YA love stories with a high ratio of cheese I'd highly recommend it.